What better way to enjoy "comfort food"!! Brown beef in oil in large dutch oven or soup pot. Add all ingredients. Bring Mixture to a boil, then cover with tight fitting lid over med heat for 2-2 ½ hours until meat and vegetables are tender, stirring occassionally to avoid burning. 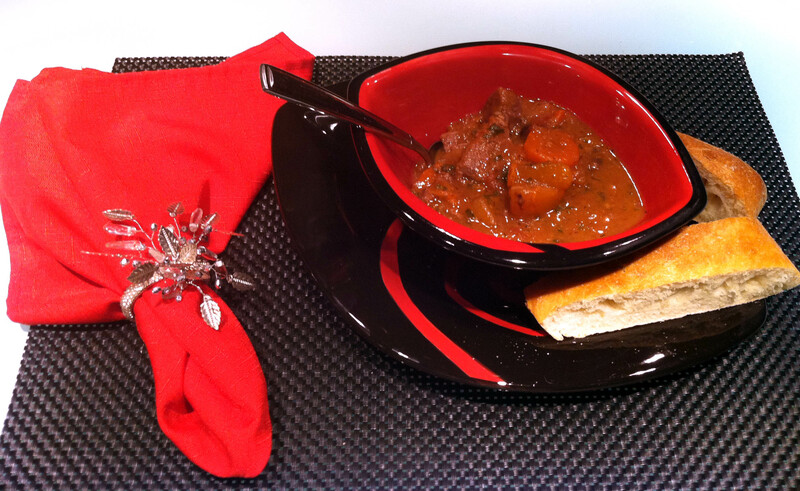 Serve with warm Artesan bread, a nice robust red wine…or a Negra Modelo!! The choices are endless!! !